614 Staffordshire Ln, Vestavia Hills, AL.| MLS# 829244 | Richard Jacks UABLIVING.com 205-910-2297 | Birmingham AL Real Estate | Contact us to request more information about our Homes for Sale in the Birmingham AL area. INCREDIBLE PRICE on this Vestavia home that offers the location, space and charm you have been searching for! On the main level of the home you will find a large family den, dining room, charming kitchen (complete with gas range), cozy keeping room (with wood burning fireplace), master bedroom opening to a full bath, two additional bedrooms and another full bath. The finished basement is a must see! Everyone will enjoy the home theater.. that&apos;s perfect for watching football games this fall! A large home office completes the finished basement area (room could also be used as a 4th bedroom). Backyard is large and fenced. Other home features include energy saving Low E windows, security system, Newer roof (2013), Sprinkler system in both front and back yards. 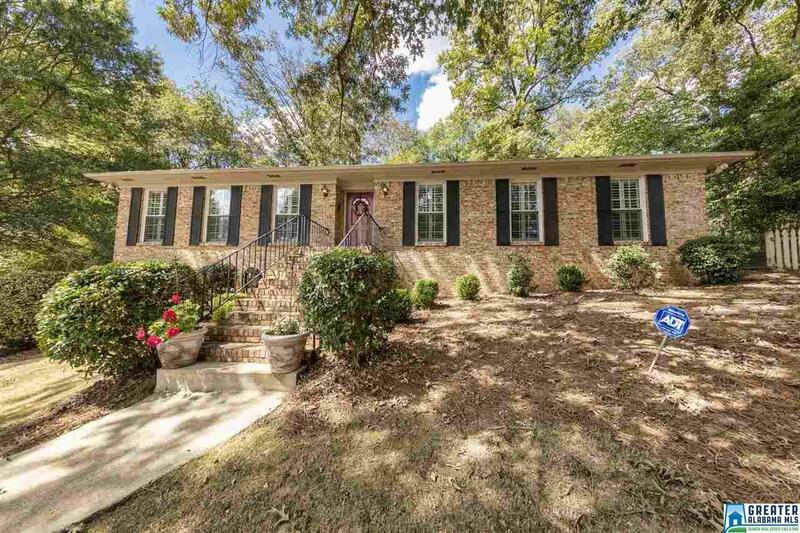 Minutes away from award winning Vestavia Hills Schools! Don&apos;t miss out on this wonderful home offered at such an amazing price!